Ever since the night she had had that fateful dream, Kalaya had been training relentlessly. Every morning and every night she trained in her chamber. She was standing in front of the temple, alone. The silence was eerie and unusual. A tingling sense of unease crept into her brain. Where is everyone? It’s a girl! 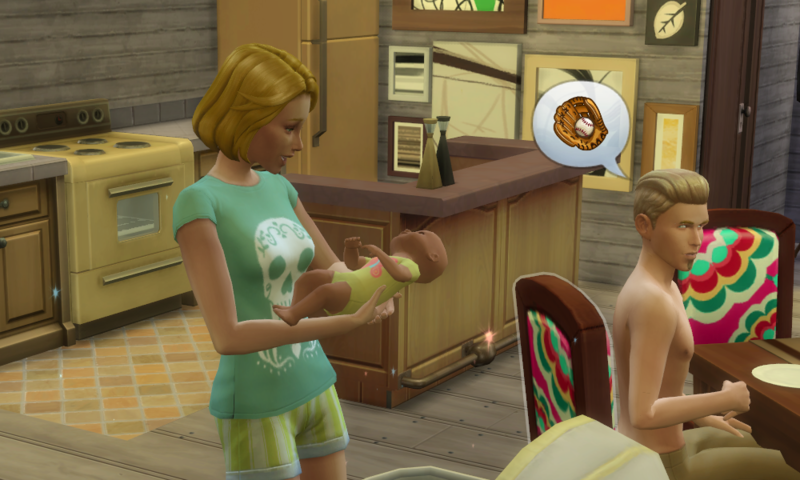 Dina Caliente and her boyfriend Johnny Zest had their first baby! Johnny: Hmpf I don’t care if it’s a girl ,I’m gonna teach her baseball no matter what! Prie was happily swinging on the monkey bars next to the training area. She was quite a rambunctious child and was often seen around the training area, impatiently waiting to be old enough to use all the fun machines. 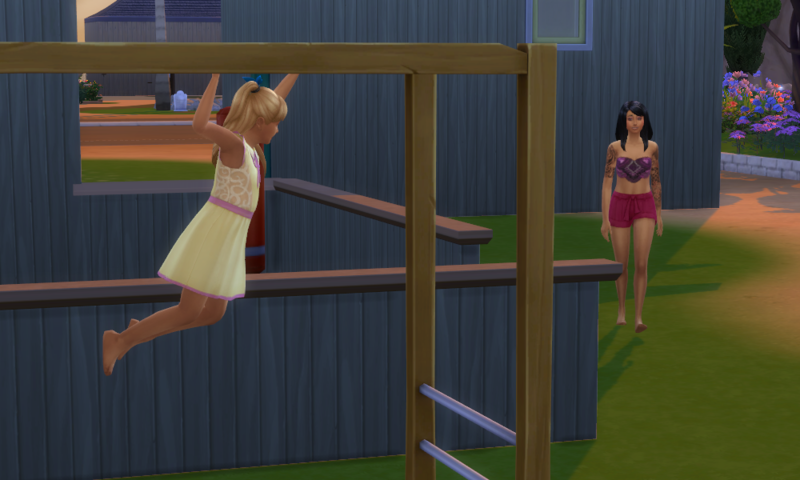 But for now, she had chosen the monkey bars as her preferred hangout. Kalaya groaned and slowly opened her eyes. It took her a few moments to remember where she was. As she did, her mood slumped. The Temple. As she turned her head she saw the priestess standing in the doorway, looking at her impatiently. „Get up! Now!“, she bellowed. Kalaya grumpily sat up on the edge of her bed. 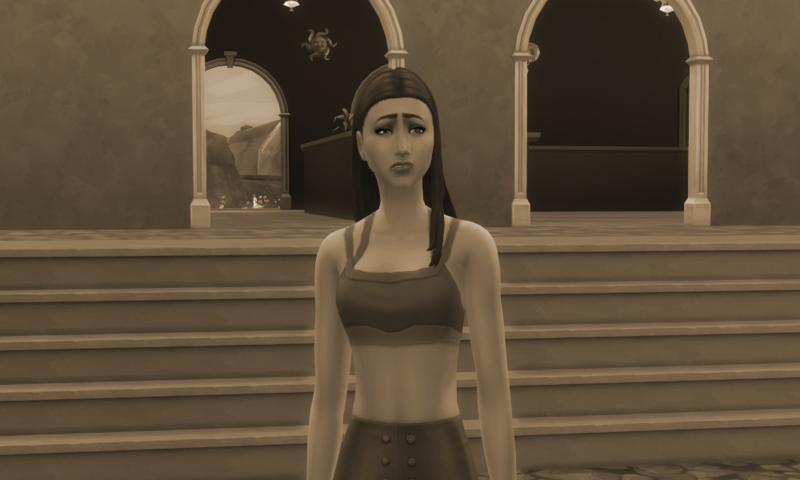 Dina Caliente and her boyfriend Johnny Zest are enjoying their quiet, but happy life. Dina is still pregnant with Johnny’s kid. After using the punching bag for a while, she made some more grilled ch eese. I swear, this woman is addicted to grilled cheese. At the same time, Johnny came around like a creepy stalker and stared at Dina for several moments.